Well, folks, I got a new meter! First test: powerport Speed PD and PD wall charger. 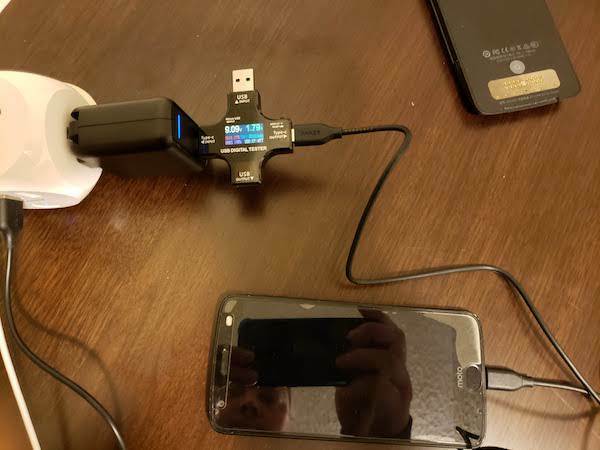 It's probably a result of the computer's uptake speed rather than the charger itself. I'll investigate that in future posts. Next up, the powerbank. 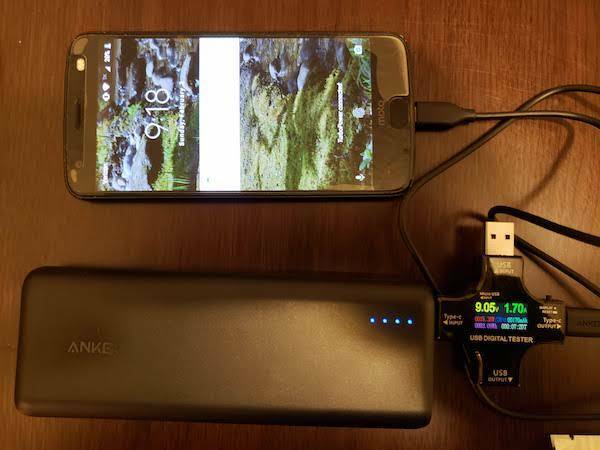 About the same speed, except the powerbank appears to stop solid at 15v, replacing the rest of the 23.55w with amperage. Again, I think this product could push more than that, I'm going to confirm in later tests. stay tuned. 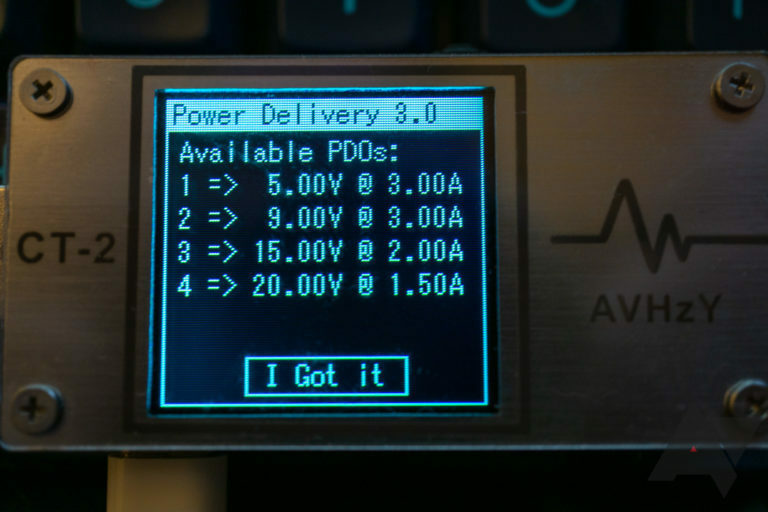 Verdict: both parts of this bundle are capable of providing PD in the mid-20w range. I suspect I can find a device that will pull the full 30w, will update this post in comments when I have time for further testing. Nice! Thanks for sharing this with us! That’s a swish looking meter! Can I ask where you got it from please? That's a pretty cool meter. Mines taking a long time to get here,. Was suppose to be here a few days ago but Amazon screwed up so they reshipped it. I think we're both in us as well. I went for a cheaper product ($13 instead of $16) and apparently China post is taking it's sweet time with the cheaper one. Neat! 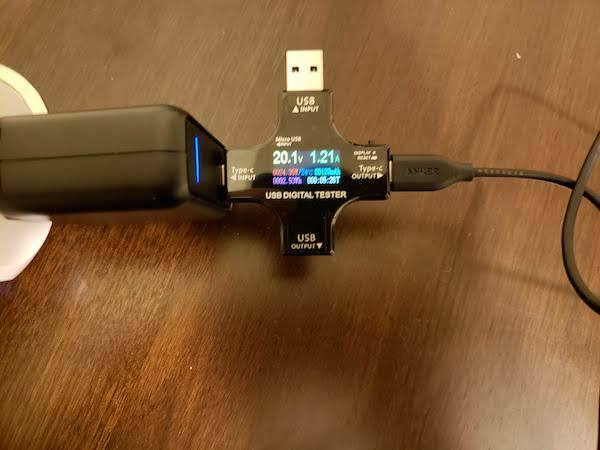 I recently picked up a similar meter, and had fun testing all the USB ports in my house. (Hint: Apple's 1A wall charger cannot supply 2 Amps. Trying to pull 2 Amps from it will often result in the ominous "blue smoke, sparks, tripped breaker, and lots of cursing" result. Very cool meter, @ryandhazen.. I'm jealous! And thanks for sharing your review! USB PD is a zoo of incompatabilities so I'm eager to test each as I get them. 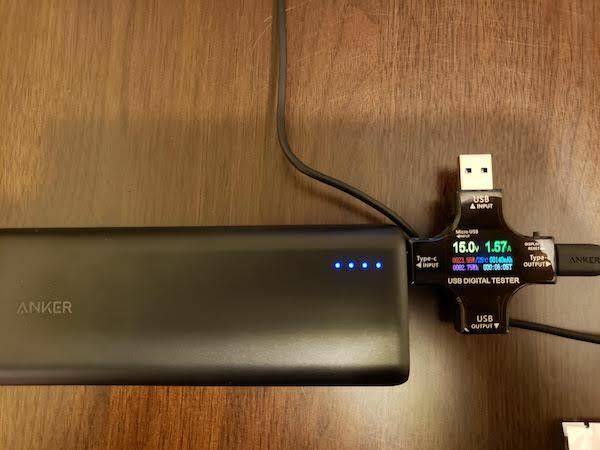 I only have one USB PD product a Lenovo laptop and only one USB charger the Powerport 5 PD and they didn't get along, a meter would help me learn why. My hope is to consolidate further down in size the zoo of chargers and cables.